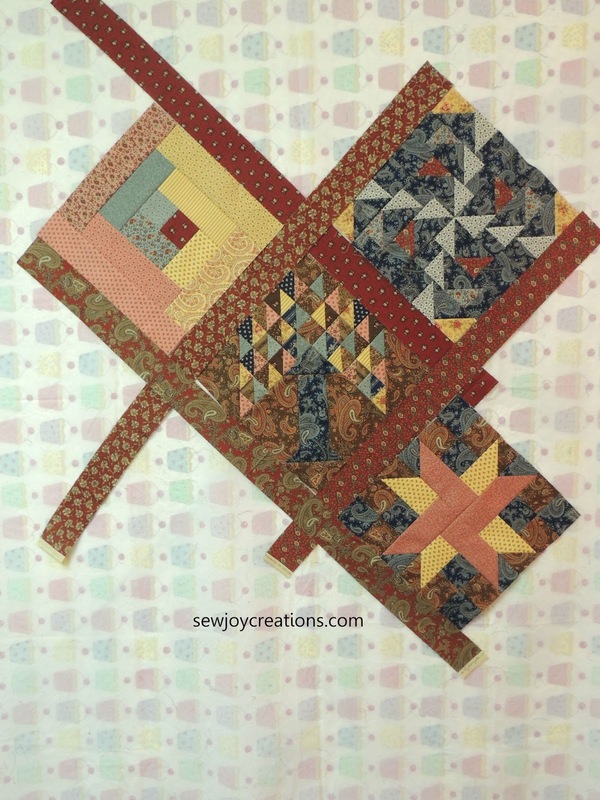 Caught up on my Civil War quilt guild roosting round robin - this round was the star. I finished my log cabin row on my modern guild roosting robin. I made quarter log cabin blocks and included some of the row-by-row license plates that I purchased because they match my colours! 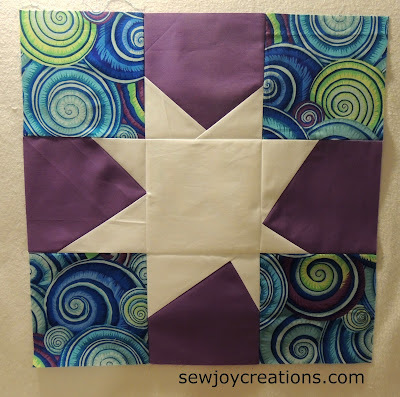 For my star row I'm making wonky star blocks. I have one done and need to make 3 more. I'm still not sure if they will go on the ends of my previous rows to make the quilt wider or in their own row. 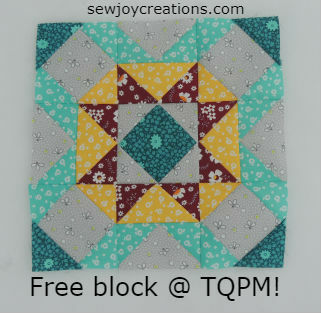 I designed and donated a quilt block for The Quilt Pattern Magazine newsletter. If you signed up before the end of January, you would have received the February newsletter and a link to the block instructions. You can still sign up for the newsletter and have access to the pattern next month. I did end up with some time to play - or rather - snuck in some other projects! I also found the time to piece my guild mystery quilt from last year. 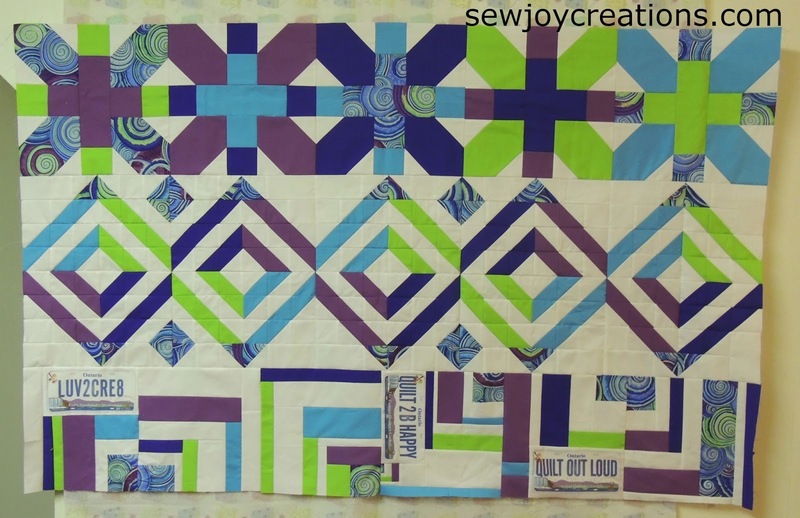 I had stopped at trimming the triangle units and worked on piecing the units, assembling the blocks, rows, and borders. 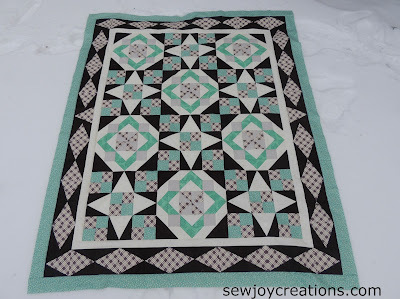 I want to quilt this REALLY soon and give it to someone special. Nice, productive month! Love the fabric in the corners of your wonky star block. Wow!! You accomplished a LOT....awesome! Well done! 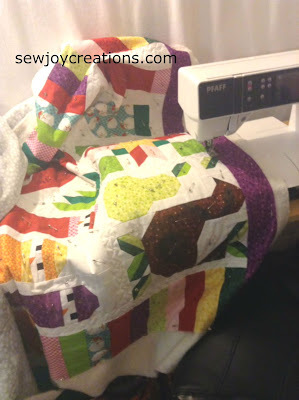 LOVE your modern roosting robin quilt! and the wonky stars, and last year's mystery quilt! Is the "curling rocks" runner a tribute to Canada's success in the Mixed Curling event at the Olympics? Love how you quilted your curling runner!! Great month of progress for you! !